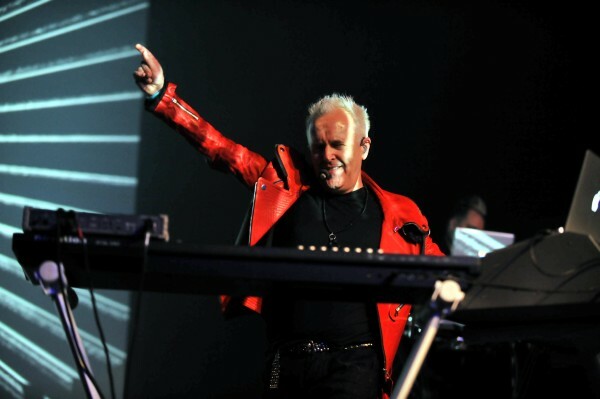 Instead of attending a gala dinner at the Veterinary World Congress in Birmingham, my wife and I decided to attend a concert by Howard Jones. Walking distances from our hotel and Jones would be playing his first two albums in its entirety, which I of course I already had in my rather extensive collection. 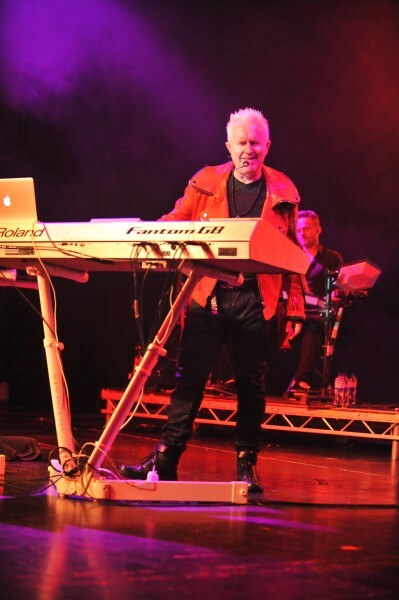 Now I know, you probably wouldn't call this 'progressive' music, but nevertheless his use of keyboards surely set the tone for other acts in the eighties, most certainly many of them being looked upon as 'progressive musicians'. So looking back I think there are certainly some elements of 'progressive music' there in Jones'music. Certainly, with electronic drums and lots of sequencers and synths I'm inclined to call it symphonic pop to say the least. 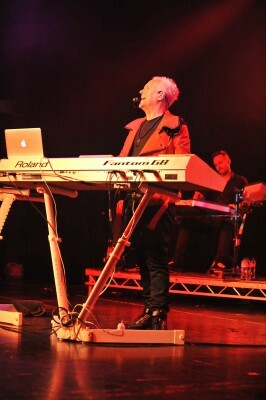 Howard Jones is a classically trained pianist who started experimenting his technique on the early synths like the Roland Juno 60, the Jupiter 8 and the mighty Moog Prodigy. He was a pioneer in using the Roland 808 drum machine and on stage he used to trigger sequencers whilst playing and singing; something no one had done before up to those days. 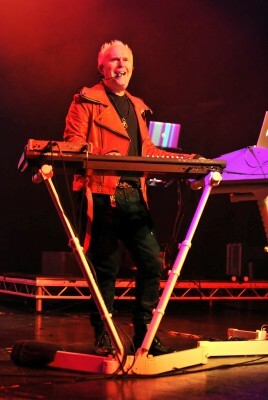 Today he is still working closely with Roland and helped develop the Jupiter 80 which he is using on stage. 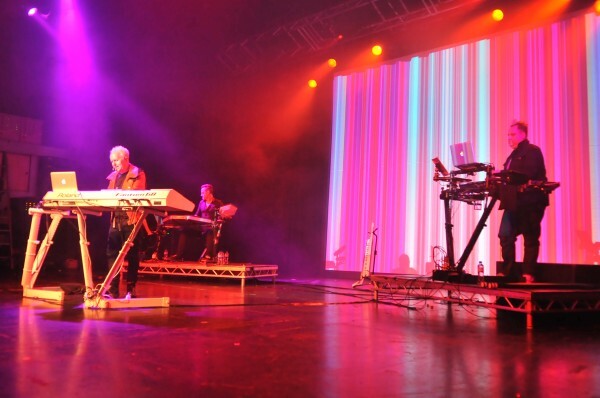 With him on stage there were Jonathan Atkinson on electronic drums and Robbie Bronnimann for the live sequencing, sampling and effects by using the Ableton Live and several controllers. A rather big stage and not a sold out but a pretty nicely filled up O2 was the setting for this show, one of a series of shows by Howard in the UK (spring and early summer), the USA (summer) and Australia in the fall. All shows are featuring Jones' debut album Human's Lib and his second album Dream Into Action. As an introduction it was pointed out that there were several items for sale at the HJ booth, among others a boxset with the first two remastered albums, another one containing the remastered versions of Cross That Line, One To One and In The Running, several DVD's and one more boxset containing 2011 digital remasters, featuring The 12" album Action Replay and a bonus CD of 12" extended and remixed tracks with previously unreleased material. As CD (and boxset) collector of course I went to the booth and bought my share! The first set (I'm not entirely sure about the sequence the songs were presented) was dedicated to Howard's second album Dream Into Action. Introducing the track Life In One Day, Howard shared a story about how concerned the people of his record label were on first hearing the album. It doesn't have a single, the commentary was. So, utterly frustrated and concerned Howard went back and started writing and within hours he came up with the song mentioned afore: everybody satisfied! Hearing this album presented live after so many years, I think the record company might have been right because this first half of this evening's show took a while to get going. Partly that's down to the album itself, because it tends to be rather heavy on introspective, atmospheric material and on the other hand rather light on crowd-pleasing pop hits. With only three people on stage, mostly static and hiding behind their instruments or consoles, it appeared to a tricky album to present within the confines of this format. Most of the visual effects were rather uninspiring screensaver-style animations on a huge screen behind the stage. The performance of the songs however was impeccable, the sound quality superb and Howard's voice in stunning shape. The break between the two sets of over half an hour felt too long at the time, but it did give the audience time to have a couple of drinks and loosen up a bit for the second half of the evening, dedicated to Jones' debut album Human's Lib. Certainly the choice to perform Human's Lib in the second part was the right one. The audience indeed did loosen up and since there were many hits to celebrate the many sing along songs, it inspired Howard to be less static. He came out to the front of the stage more and played his keytar with enthusiasm. It was a great atmosphere and obviously many in the audience were very familiar with the material presented so I learnt a lot about the lyrics that evening. 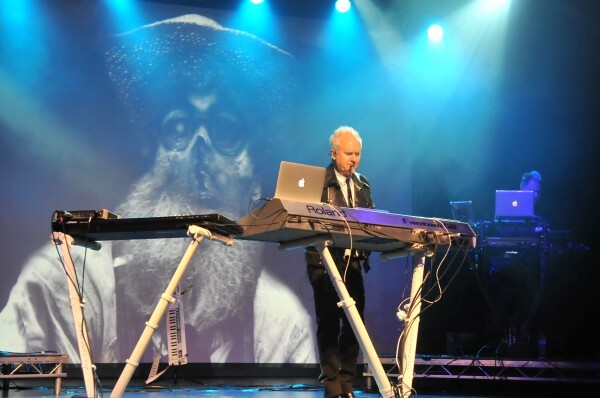 Human's Lib is a an album that stood the test of time and like many of his contemporaries (Ultravox, ABC, Simple Minds) it is still a joy to hear those songs performed live with an excellent sound quality.